As the winter months are fast approaching, Canadians should winter-proof their vehicles to make driving easier, safer and more reliable. Driving in the winter is always more challenging, even to the most experienced of drivers. You should always ensure that your vehicle is well prepared to face the elements. 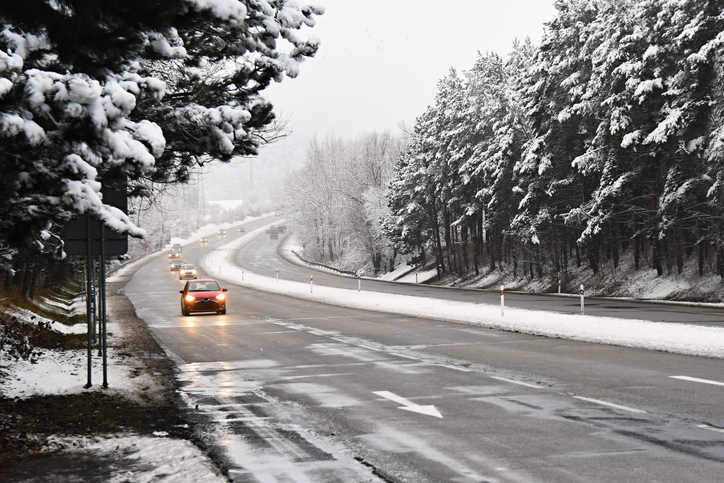 Remember to always keep a safe distance between you and the car in front of you and avoid driving in poor visibility and bad weather conditions entirely. In the winter especially, vehicles can be harder to see on the roads, so it’s very important to ensure that you are seen. Replace any lights that are not in good working condition (headlights, brake lights or other lights on your vehicle). This will also ensure that you are seeing the road in front of you properly. Test your battery before the cold weather hits. If it’s not in great condition, consider changing it for a new one before the current one fails. In cold weather, a depleted battery might not be enough to start your vehicle. Transport Canada recommends that we install winter tires in sets of four to help maintain control and stability of our vehicles in icy conditions. We should not use tires that are worn close to the tread-wear indicator, as this reduces traction, something we want to avoid when roads are covered in snow. We should also ensure that our brakes are working well. An accumulation of snow or ice can reduce visibility. That is why our vehicles should be equipped with good windshield wipers. We should also fill up on winter windshield washer fluid and keep a second jug in our vehicle at all times. Be prepared to brush snow or scrape ice off your car. You never know when snow will surprise you. Cantini Law|Droit has over 30 years of experience advocating for clients who have suffered injuries following a motor vehicle accident. If you’ve been injured in a motor vehicle accident and want to ensure you are being fully compensated for all of your injuries, physical, psychological, and other, give us a call today at 1-844-CANTINI for a free consultation. Our personal injury lawyers will be able to direct you onto a path to full rehabilitation.